Shires Equestrian blog offers advice on riding, horse care and also news about Shires Equestrian. 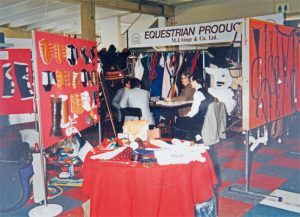 With Shires Equestrian celebrating its 50th anniversary this September, we’re taking a trip down memory lane to see how our products have changed over the years. From the beginning, Shires has been dedicated to the needs of their customers. It was listening to their feedback about the incorrect fit of the products he was trading that inspired Malcolm Ainge to make the leap, alongside his father in law, Phil White, into creating his own products in the early 70s. Together they began the process of designing and fabricating items such as saddlecloths, New Zealand and jute rugs, tattersall summer sheets and leather products. Today, Shires has an in-house design team and our own manufacturing facility in China. This enables us to keep up with demand while maintaining control of the manufacturing process and high quality of products. So, with 50 years under our belt, how have our products changed through the years? The first pattern ever developed by Malcolm and Phil was a saddlecloth. After much trial and error, as they learned how to engineer the spine, they began production. Today, whilst the classic saddlecloth and numnah shapes are still instantly recognisable, we are continually developing to improve comfort and performance. From our technical fabrics, such as Air Motion, WickAway and SupaFleece, to the wider variety of saddlecloth shapes and sizes, today’s saddlecloths have been designed to meet the varying needs of riders. 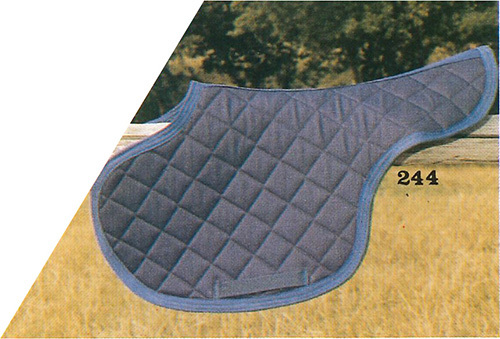 In one of the earliest Shires catalogues, the only variant on the classic numnah, was a numnah cut for a racing saddle. 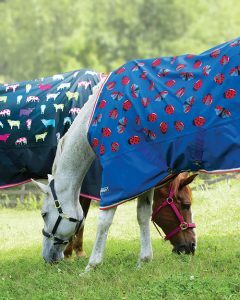 In contrast, Shires currently offers saddlecloths for dressage, jumping, high wither horses or with deep padding for sensitive horses, as well as a variety of classic saddlecloths and numnahs in a range of colours (perfect for a bit of matchy matchy!). 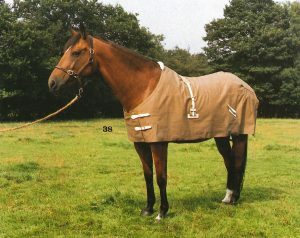 One of Shires Equestrian’s most popular products are our horse rugs. From the initial designs developed by Malcolm and Phil, we have continued to work hard to provide quality rugs that fit a wide range of horses and ponies. You might recognise some of our printed rugs from recent years, like our fox or sheep rug. Shires turnout rugs have come a long way from the cotton canvas New Zealand rugs that featured in our first ever colour catalogue. Over the years, improvements to the fastenings, fabrics, and style of the rugs has ensured better coverage, security and protection from the elements. In 2016, Shires launched their new brand of horse boots: ARMA. However, Shires’ horse boot offering goes back a lot further than that. While the overall shape has remained the same, the fastenings and fabrics have changed over the years. Colourful options and technical features such as Air Motion fabric and ARMORTEX® strike pads are also on the latest boots. Whilst the contrast between the older and newer brushing boots, above, may appear stark, some things haven’t changed. Our rubber over reach boots were only in need of small additions. New colours and the option of fleece lining enhance comfort and appearance but these boots have remained virtually unchanged since the beginning. It is not just Shires’ horse wear that has developed over the years. Our rider wear has grown too with a wide range of casual, active and competition wear in stylish designs and performance fabrics. One of the most important areas of development has been in rider protection. Reflecting changes of attitude in the equestrian community, you see the move from basic jockey back protectors, to the “Be Safe” box quilted body protector (featured in our 1995 catalogue), and finally to Karben – a certified, unrestrictive body protector with shock absorbing foam layers and an adjustable fit. We can’t wait to share all the new products our team have been busy designing. Keep an eye out for them in next year’s catalogue. 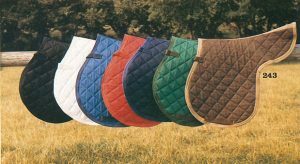 If you have any old Shires products hiding in your tack rooms, we’d love to see them! Tag us on social media, or use #shiresequestrian.